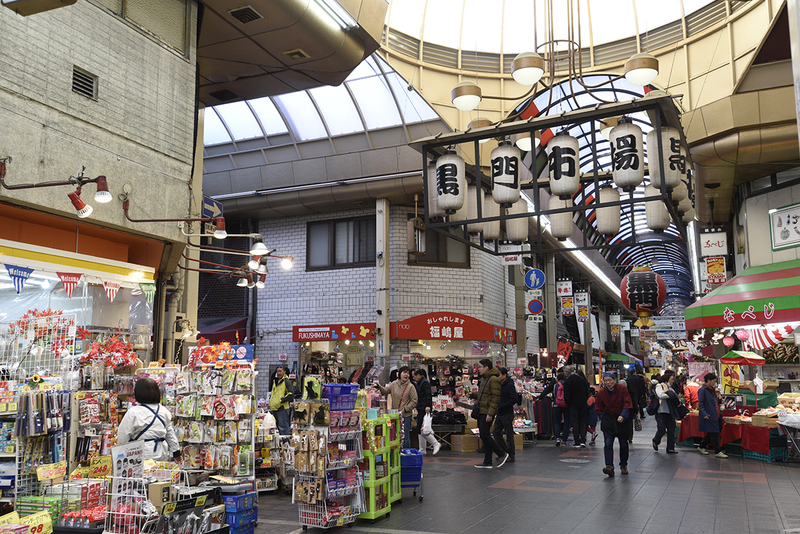 Kuromon Ichiba Market is dubbed Osaka’s kitchen. It’s a ready-made food and grocery market with roughly 180 shops. I had breakfast here twice in three days, and there was so much more I wanted to try. When I travel to a new place, I always look for good food, cool architecture, and places to shoot. One of the evenings during our trip in Osaka had all the boxes checked. We visited a very Instagrammable bookstore during the blue hour right after sunset. Then we wrapped up the day with a bowl of foamy citrus-infused ramen that was incredible. 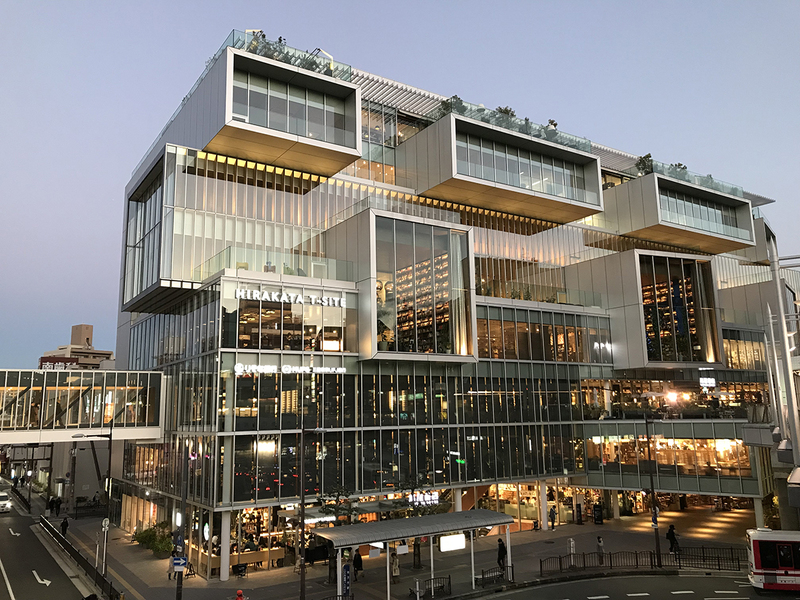 Kitahama seems to be an under-rated travel spot in Osaka. 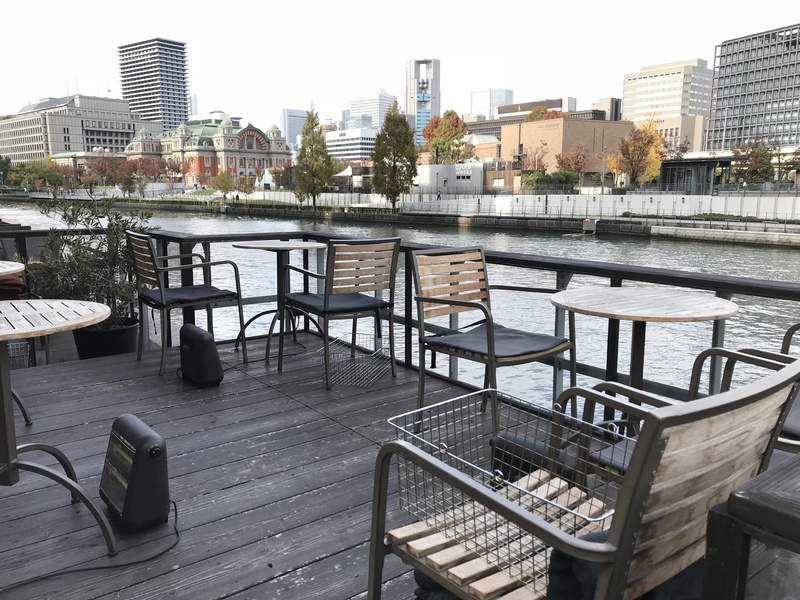 Riverside coffee shops with outdoor seating offer a fantastic view. This is a great place to get your coffee fix, enjoy brunch, or spend a lazy afternoon. 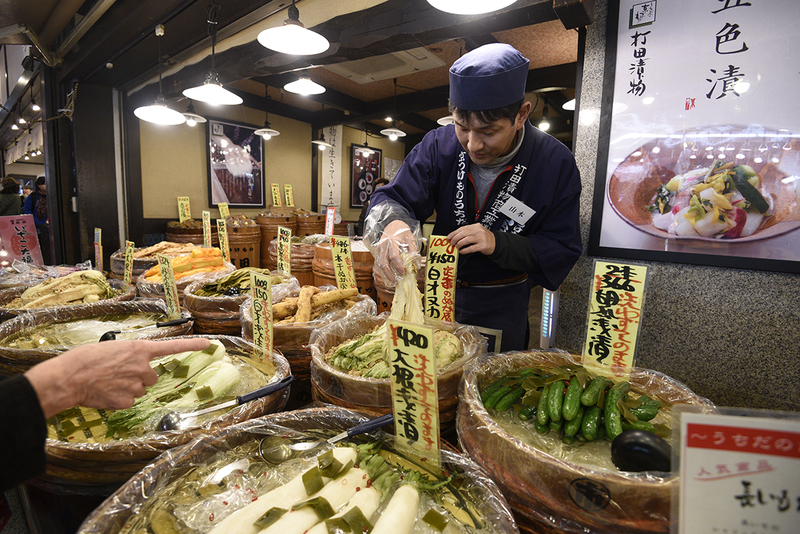 The Nishiki Market is a five block traditional market known as Kyoto’s kitchen. It’s best to go there hungry for street foods. It’s also a good souvenir shopping spot. 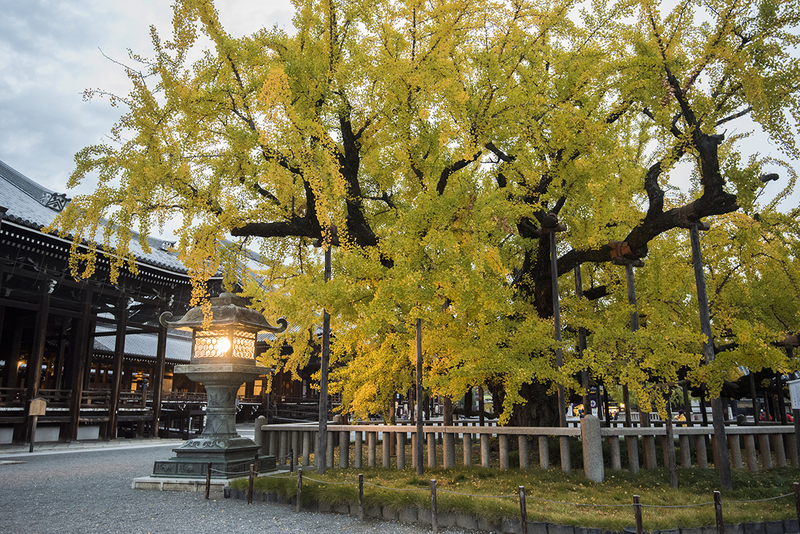 Late November is a busy tourist season for Kyoto because of fall foliage. Not just red and orange leaves of Maple, but also golden leaves of ginkgo trees. During the five days with my parents in Japan, I wanted to pick one meal and splurge. I was looking for good food and a Japanese experience. 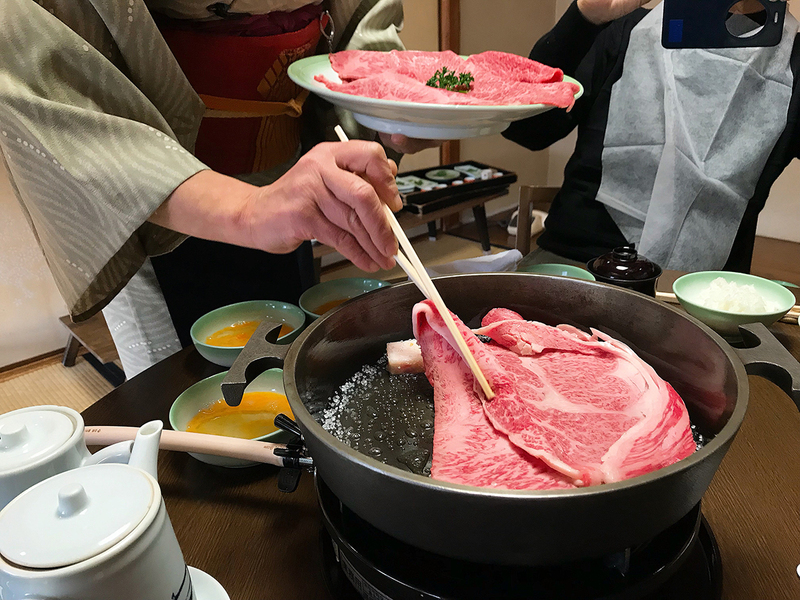 Eventually, I decided on sukiyaki at Moritaya’s Kiyamachi branch — Kansai region style of sukiyaki with kuroge wagyu beef, a tatami-floored private dining room, and a view of the Kamogawa River. It was a fantastic lunch that everyone fully enjoyed. The surrounding area is fun to walk around. I definitely recommend this place for a Kyoto trip. Kyoto offers a wide range of accommodations – from chic capsule hostels to fancy hotels. I looked at a lot of options. Finally I decided that we would splurge a little and book a traditional townhouse! Staying in a rustic townhouse turned out to be a wonderful touch that made our trip complete. You experience the charm of traditional Kyoto by walking around ancient temples during the day, and that experience doesn’t need to end when you head back to the hotel. 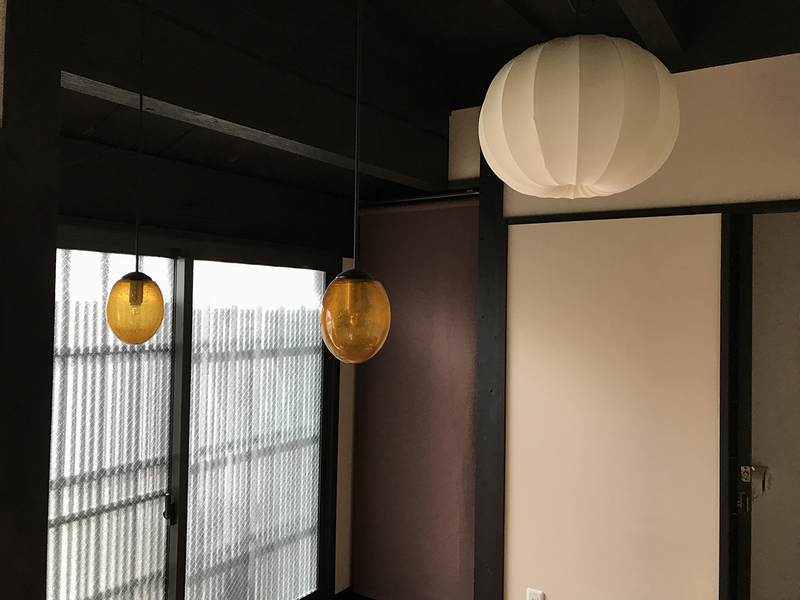 Sleeping on Japanese futon on tatami floors in a traditional townhouse in a residential area is a unique experience you don’t want to miss. The fusion of old and new is fascinating. You would likely stay in a townhouse built a century ago while the fanciest gadget in the house is an overachieving toilet with a control panel as complicated as one for a space shuttle.